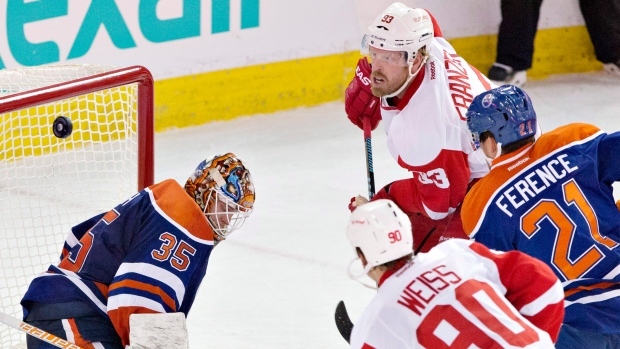 DETROIT - The Detroit Red Wings have put forward Johan Franzen on injured reserve because of an upper-body issue. Detroit recalled forward Teemu Pulkkinen from the Grand Rapids Griffins of the AHL on Thursday. The 35-year-old Franzen has seven goals and 15 assists in 33 games this season. He did not play Wednesday night in Detroit's victory at Calgary. The 23-year-old Pulkkinen leads the AHL with 20 goals in 33 games. His current eight-game goals streak for Grand Rapids tied the franchise record. He played three games for the Red Wings last season. Detroit plays at Washington on Saturday night.